The colour yellow can light up any situation instantly; think about a yellow bunch of flowers or a yellow painted room. It is sunny, bright and suggests happiness. The fruits and vegetables of this colour pretty much have the same effect on your body. The powerful antioxidants called carotenoids present in yellow coloured fruits and vegetables are the things that give it the bright hue. Apart from the antioxidants, yellow fruits and vegetables are also rich in vitamin C. Researches prove that these elements are extremely beneficial for your heart, vision, digestion and immunity. Also, the naturally yellow foods will nourish your skin, makes your bones and teeth stronger and aids in healing wounds faster. A regular inclusion of yellow hued natural foods in your diet will also guard you against cancer. If you have ever wondered why health freaks constantly ask people to eat fruits and vegetables instead of indulging in junk food, this is the reason why. It is healthy. It is good for your life. This is how Mother Nature wanted it to be in the first place. 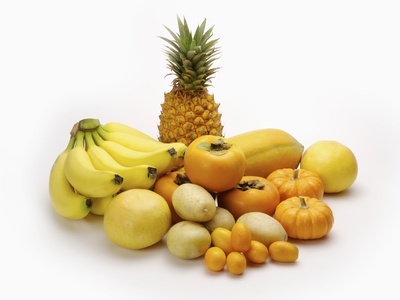 Nature has gifted humanity with a wide and varied reserve of yellow fruits and vegetables. You step into any market and you will effortlessly find yellow coloured natural produce. 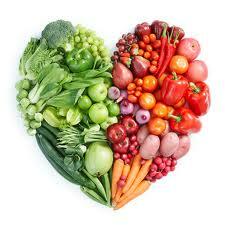 Be sure that you pick out organic produce to increase the health quotient of the food you choose. Next time you pick up a yellow fruit to eat, thank yourself for doing it. You are doing yourself a great favour. Eat Yellow and stay healthy. Worried about a heart attack that might happen to you? There are many ways you can reduce your chances of getting a heart attack. Eating right is one among those. There are a lot of food items which might naturally strengthen your power to keep a heart issue at bay. Here is a list of a few natural foods you can include in your grocery list if you are worried much about your heart. The soluble and insoluble fibre in Apples help you lower the bad cholesterol levels and prevent the pre-heart attack condition called atherosclerosis. It is not just for fun that the proverb goes an apple a day. The folate and the Vitamin B9 in oranges will help in reducing the homocysteine levels of your body. Higher homocysteine levels are known to provoke a heart attack. Another warrior in the battle against homocysteine. The homocysteine molecules will damage the blood vessels and create havoc to your heart. Grapes are rich in antioxidants like flavans, anthocyanins, quercetin, kaempferol and resveratrol which are effective in lowering the cholesterol level. Nuts are your safest source of omega-3 fatty acids, vitamin E, Magnesium and Potassium. Add a handful of a variety to nuts to your daily diet. Make sure you do not overdo it though. Green beans rich in antioxidants, beta carotene and vitamin C is extremely helpful in preventing the arteries from stocking oxidized cholesterol. Who knew that the humble papaya will be such a strong player in lowering the bad cholesterol levels using its powerful antioxidants, vitamin C and Vitamin E.
Green tea is quickly becoming one of the most popular drinks throughout the world. The Chinese used green tea to treat a range of diseases from headaches to depression for more than four thousand years. Recent researches are proving that this habit of drinking green tea among the Chinese has been influential in decreasing the risk of esophageal cancer among them by almost sixty percent. Apart from reducing the chances of cancer, green tea also helps in reducing the cholesterol levels, infections of various kinds, improves immunity and is helpful in coping with cardiovascular disease and rheumatic arthritis. Organic green tea is rich in catechin polyphenols compared to conventional green teal. Catechin polyphenols are very powerful antioxidants capable of destroying the cancer cells without harming the healthy cells. While there are many other varieties of tea, what makes green tea so special? The difference lies in the way green tea is processed. It is steamed rather than being fermented like in the case of black or oolong teas, preventing the healthy components from being oxidized. Apart from fighting so many deadly diseases, organic green tea also reduces ageing and increases longevity. The anti oxidants in green tea prevent the skin from getting exposed to the harmful effects of free radicals, there by resisting wrinkles and ageing. Organic green tea is found to be effective while dieting. Drinking organic green tea regularly will help burn calories more effectively. 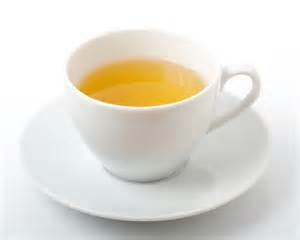 Another desirable and unbelievable effect organic green tea has is that if prevents tooth decay. Green tea also helps in reducing stress and anxiety. The benefits of organic green tea will actually go on. Now that we know these many benefits of organic green tea, why shouldn’t we be drinking it regularly? One must wonder how land will stay fertile while doing organic farming no major chemical fertilizers is used. There are many methods to maintain the soil fertility without subjecting the land to exposure to chemicals and other harmful treatments. Shifting Agriculture is one interesting system of agriculture which will benefit the soil fertility. 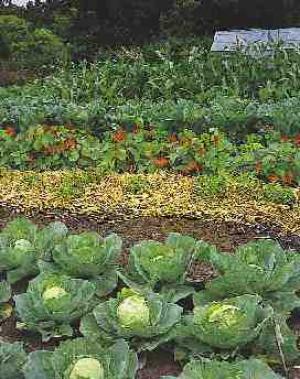 In this method, a plot of land is prepared and cultivated for a short time. Once the crop is harvested, instead of tilling and cultivating the same land with a different crop, the plot is left abandoned for a while. Slowly the land will revert to its natural vegetation. Meanwhile the farmer would have moved on to cultivating in a different plot of land. The shifting agriculture method often uses the slash and burn method as a way of land clearing. Like the method name suggests, once you cultivate the yield from the plot, you slash whatever rest is standing. The only things left out would be stumps and large trees. Once everything is chopped down, it is burned so that the resultant ash will lie there to enrich the soil again. It is also interesting to note that to cultivate in a plot of land using this method, a hoe or a digging stick is utilized instead of a regular plow. Shifting agriculture is considered to be an optimal way to maintain the quality of the soil without having to use any fertilizers. The important step is to not exhaust the fertility of the soil beyond certain limit. In this method, the land is abandoned to replenish its fertility after a short period of cultivation.